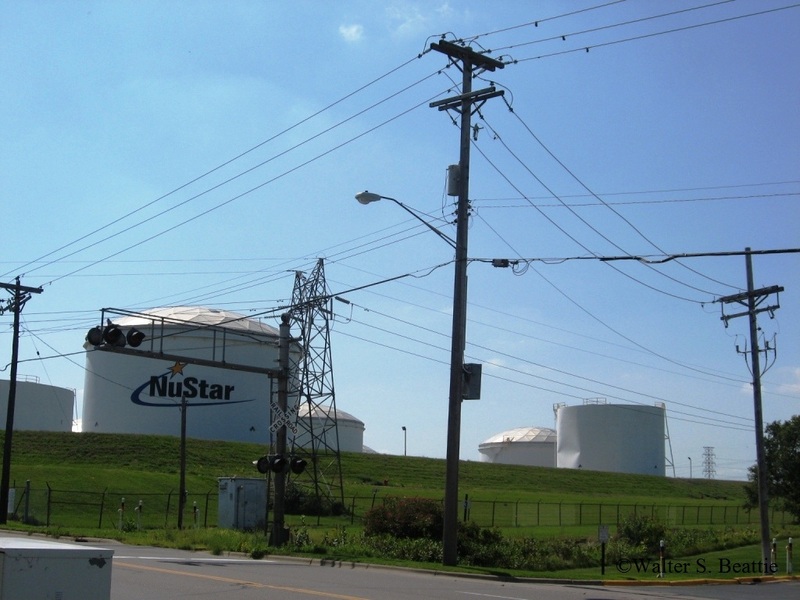 The fuel oil and chemical storage tanks you see at the major refineries can hold hundreds of thousands of gallons of liquid. 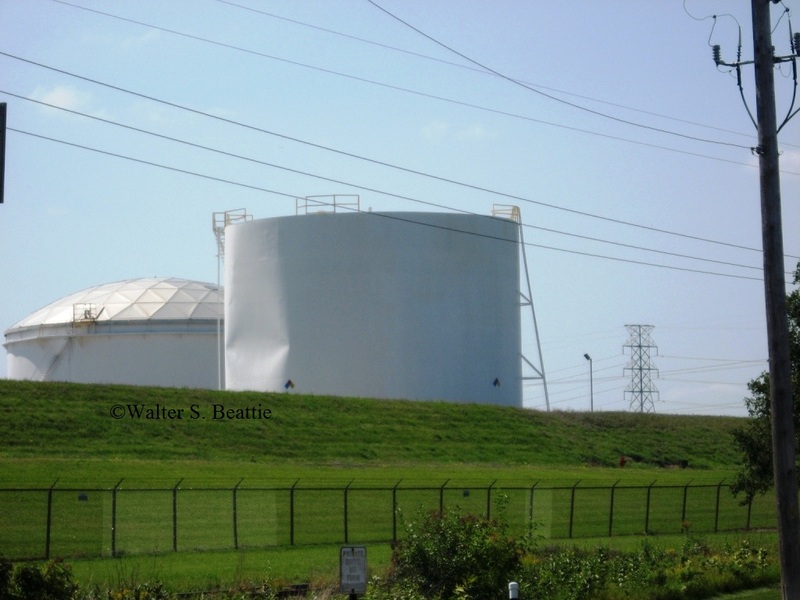 Some oil storage tanks may hold from 500,000 to 1,000,000 gallons (1,893 to 3,785 cu m) or more. These are big tanks. They are made of heavy steel plates, capable of taking the pressure and weight exerted by the liquid inside. hey are not designed to withstand the force of a vacuum condition. When a tank is filled, the liquid entering the tank must displace the air in the tank. The air exhausts from the tank through a vent on the top of the tank. The vent also permits air to escape and be drawn into the tank when the tank heats and cools due to atmospheric temperature fluctuations. Even the effects of solar heating during the day and subsequent cooling at night have an impact on maintaining normal atmospheric pressure. Think back to your basic chemistry classes in high school. Do you remember Charles’ and Boyle’s Laws? These are examples of empirical gas laws. If I recall, Boyle discovered that the larger the volume gets, the lower the pressure of the gas (in this case air) becomes. If there was no vent and there was no air exchange into or out of the tank, when liquid is drawn out of the tank, the volume of the air cavity increases, and the pressure decreases. Without a vent to allow additional air into the tank, the pressure will decrease. Charles’ Law takes temperature into account. As the temperature of a gas increases, the molecules become more active and move faster. As they move faster, the pressure in a fixed volume will increase. Likewise, when the volume cools, the pressure will decrease. While driving one day, I happened to notice this tank and had to get a couple quick snapshots of it. This tank has a dent in it. I have no idea what caused the dent, but short of a very, very, large truck backing into it, or a crane wrecking ball taking an errant swing, I can only presume this was caused by a plugged or malfunctioning vent valve. Vent valves are critical pieces of operational equipment for the tank. Even a plastic tarp laid over the vent is enough to cause a tank implosion. the forces of the pressure are tremendous. Using Charles’ and Boyle’s Laws, there might be two logical ideas. I might presume the tank was drawn down (emptied) at too great a rate for the vent valve to compensate and the pressure decreased to the pont where the tank partially failed by implosion. Or, the temperature within the tank decreased at night, the vent became stuck, the pressure within the tank decreased, and the tank failed by implosion. This entry was posted on Saturday, June 2nd, 2012 at 8:57 pm and is filed under Uncategorized. You can follow any responses to this entry through the RSS 2.0 feed. You can leave a response, or trackback from your own site.